§ The quoted prices alwaysinclude separate head rest covers if applicable, but console lid covers (where consoles exist) are sold separately. 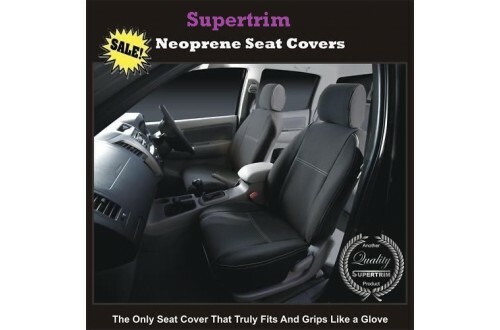 § The photo in the listing is only meant to illustrate the snug fit of our custom made seat cover and may not represent the actual model listed. § Our standard design coversthe entire face of the seat and part, or all of the sides, but on the rear of the seat, only approx one-third of the top section is covered, allowing access to map pockets. § If your car has split seats, e.g.40/60 or 50/50 or 60/40, the cover is in sections to allow thesplit seat still to fold / move independently with the covers fitted on. § The standard rear cover design covers up the armrest / cup holder (if any), making it inoperable. However, customers can request an armrest cutout (with zipper / Velcro closure) so the armrest / cup holder can still be used (the armrest itself is not covered as it would be too bulky to push back into the recess in the seat). Please ask for a quote for the cutout. § Turnaround: 3 working days for manufacture of standard products, (plus 3 to 7 extra working days for options added). - by credit card: please ring us on (03) 8774 2705 to pay by credit card. § Account name: Supertrim Southeastern Pty. Ltd.